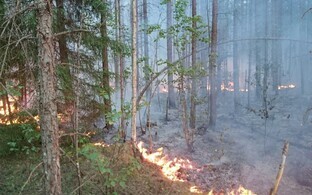 A wildfire that broke out in the village of Vikipalu in Harju County's Anija Municipality on Sunday has since grown five times in size to cover 200 hectares. 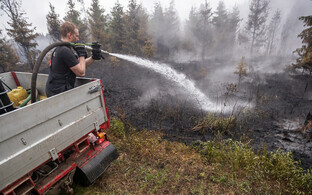 Strong winds have caused the flames to spread quickly and carried smoke as far as Jõgeva. The Rescue Board received an emergency call on Sunday regarding a wildfire that had broken out in Vikipalu. 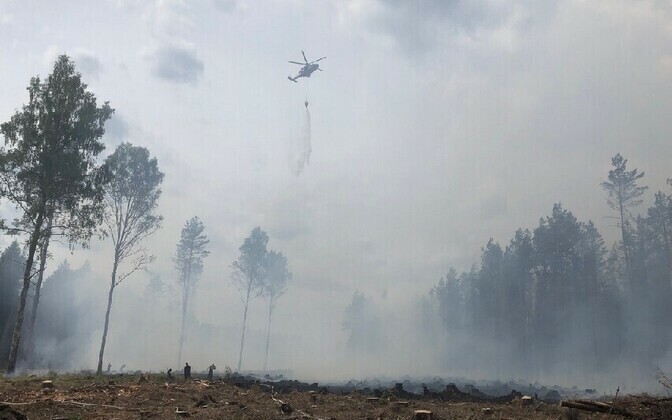 As dry and windy conditions favored the spread of the fire, emergency services responded to the scene in force, reported ETV news broadcast "Aktuaalne kaamera." 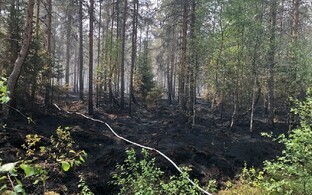 By late Monday night, the wind dying down and some rain helped curb the spread of the flames, but at its peak on Monday, the firefighting operation involved 166 people, including rescue workers from state commands, volunteers, members of the Estonian Defence League and local residents, as well as a Police and Border Guard Board (PPA) helicopter. "We like untouched forests, which means, however, that there are a lot of fallen trees, there are no roads, and there is very pristine nature which seriously complicates equipment access, making physical manpower all the more crucial," explained Sven Jablonski, chief duty officer at the Rescue Board. Winds picking up on Monday evening further complicated conditions, and some rain on Tuesday has not been enough to significantly improve recent very dry conditions. "It is still very dry," Jablonski said. "If we're talking about alleviating rains, then we need to talk rain lasting for multiple days. Nature is extremely, extremely flammable right now. Everyone please be extremely cautious when moving or spending time in nature." Priit Janno, who is in charge of the firefighting operation in Vikipalu, told "Aktuaalne kaamera" that although the operation has involved a great deal of manpower, there still enough rescue workers to respond to wildfires that may break out elsewhere. He also confirmed that the Vikipalu fire currently poses no danger to any lives or buildings. Vikipalu is located approximately 50 kilometres east of the capital city of Tallinn. Over the weekend, rescue workers extinguished over 30 wildfires across the country, with no end in sight. At around midday on Monday, felled brushwood in the village of Aaviku in Harju County's Rae Municipality caught fire. 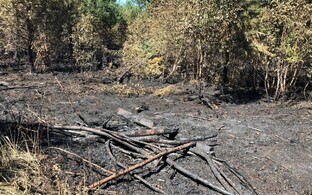 The immediate concern was that the blaze could spread to the adjacent forest, however the fire was brought under control by Monday afternoon. Persisting dry conditions caused the Rescue Board to declare a fire danger period across the entire country at the end of May already, which means that any fire-related activities are banned in the forest, including at official campfire and grill sites.